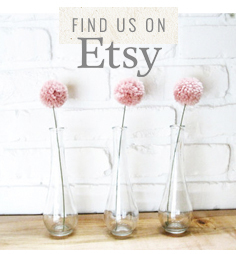 Learn how to make these cute little pom pom decorations in three easy steps! So cute!! Absolutely gorgeous! 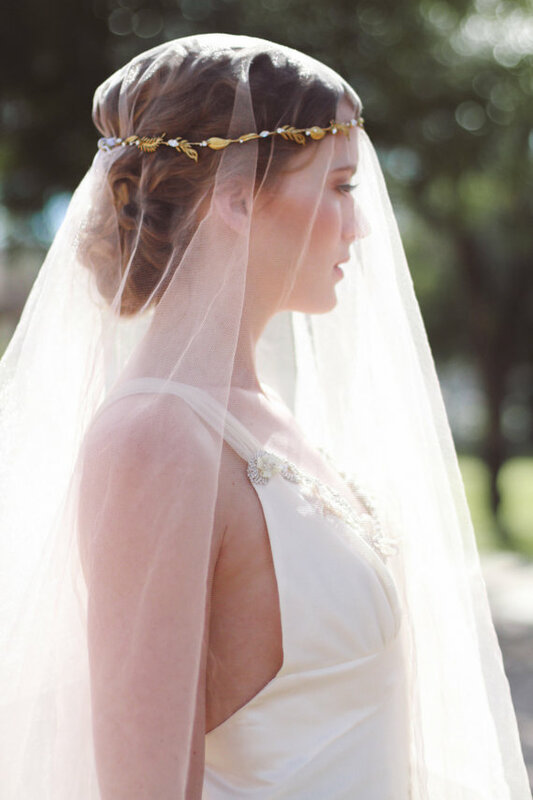 It’s a vintage romantic goddess vibe with this beautiful handmade gold leaves and feathers crown! And with that drop veil! Loving it! 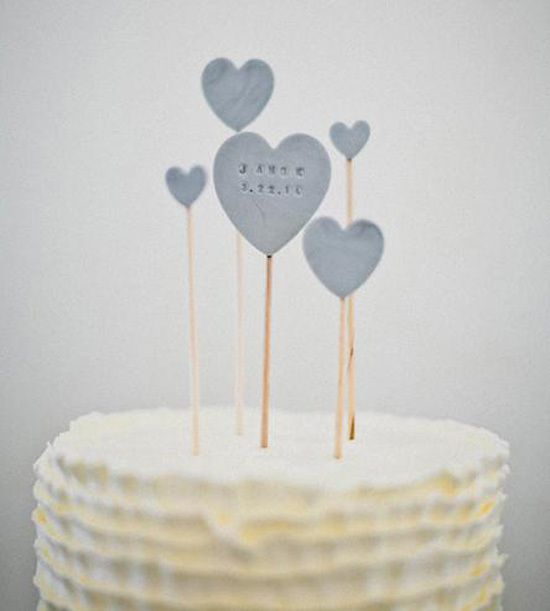 How cute are these custom stamped clay cake toppers! 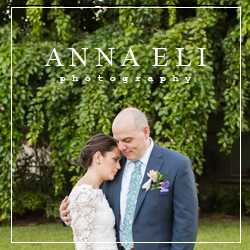 Simple and sophisticated, and a great keepsake after the big day. 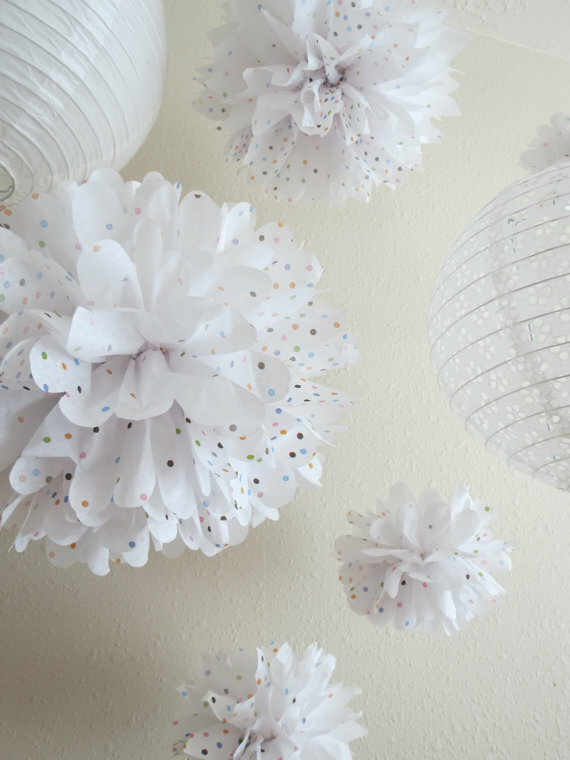 Our favorite this week is this adorable paper polka dot pom pom decor! Paper decor is a great and easy way to go – they look so light and happy! 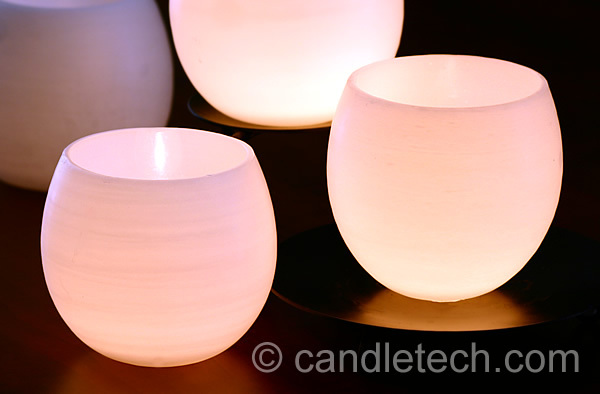 How beautiful are these translucent wax candle votives? Such an easy and simple tutorial that uses water balloons to shape the wax votives that glow softly in the dark! Definitely a good one to keep! 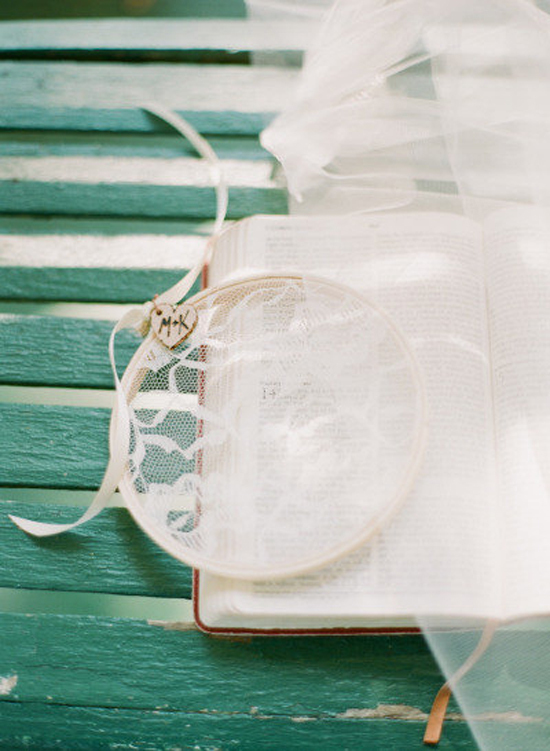 How romantic is this beautiful and delicate handmade ring bearer lace pillow? What a sweet twist to the typical pillow! You could even tie the rings on through the lace! Pretty! 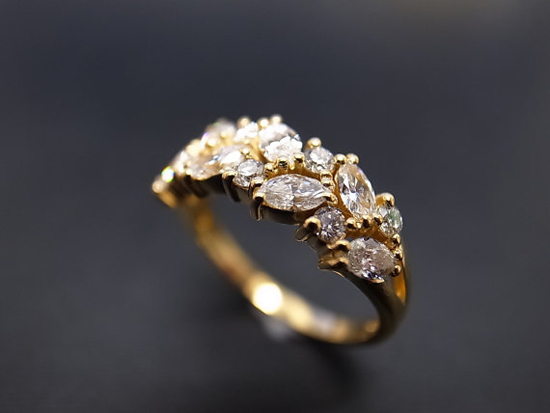 Really loving the garland-like setting on this beautiful yellow gold marquise diamond wedding ring! If you’re looking for something outside the ‘ring box’ peek around this! Favorite indeed. Mmm, love is sweet. So pocket this tutorial ladies! 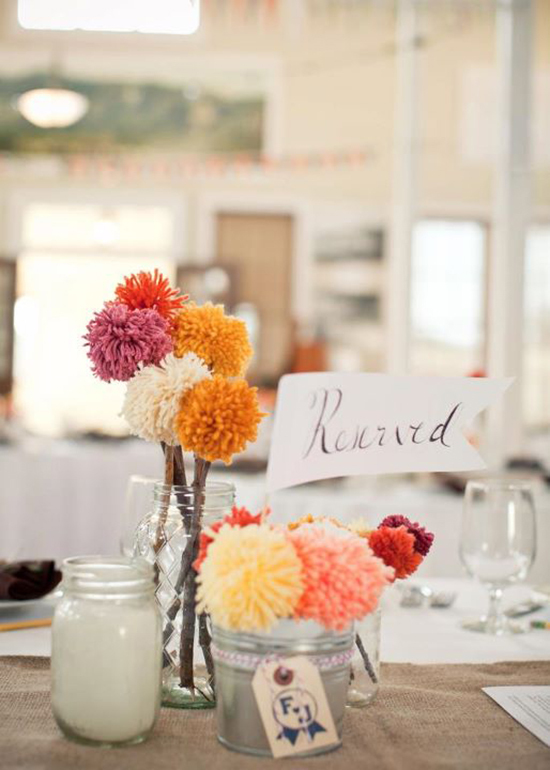 A DIY sea glass candy favor is sure to have your guests leave your wedding with a smile. 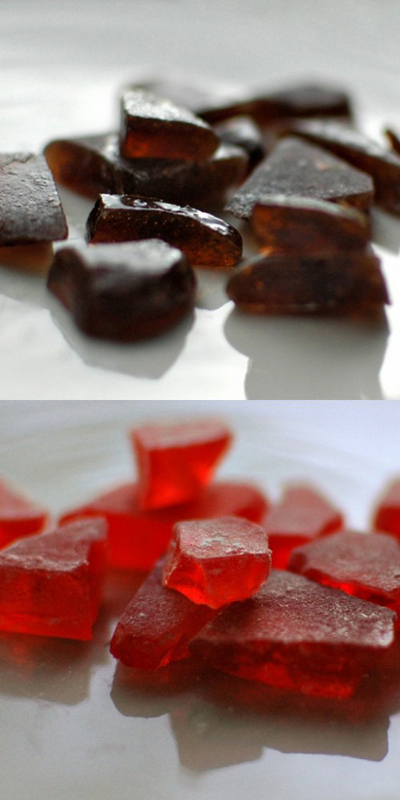 Unlike store-bought candy, it has a vintage glass-like look, making it look as good as it tastes! Loving the deep red color… enjoy! Need a gift idea? Our favorite this week is this cute handmade pillow cover! Sometimes, we forget that the wedding (as gorgeous as it is) is just one day. The real adventure begins after that! Creating a home together is a whole different world – and what better way to celebrate it than to design your new home together?! 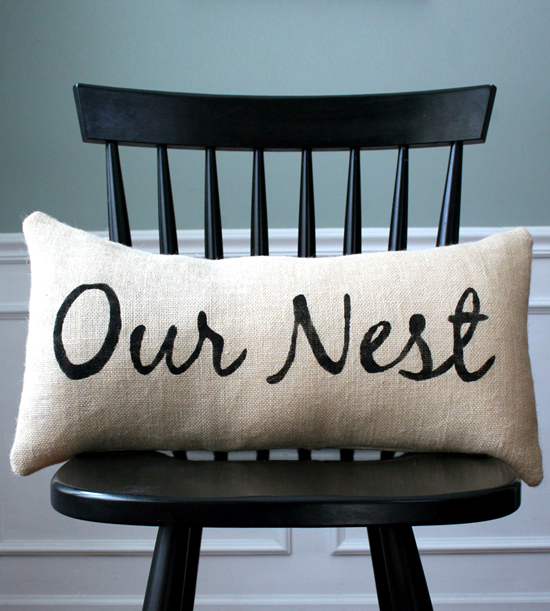 Loving this beautiful “Our Nest” lettering + design. Enjoy! 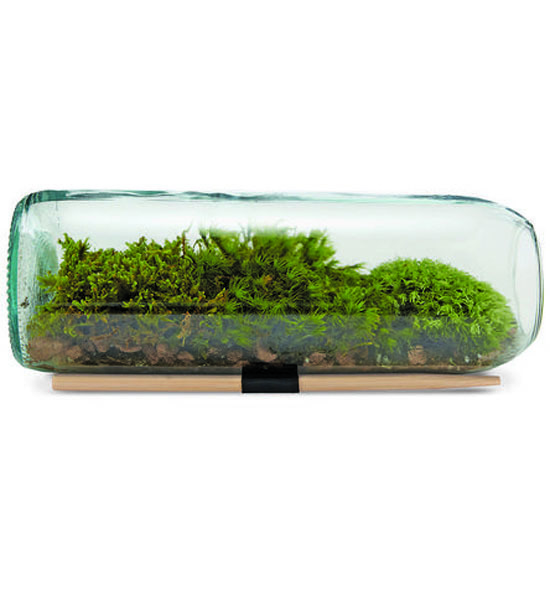 So in love with this cute moss terrarium bottle kit! What a great idea for a wedding favor! Let love grow with your very own little desktop garden! It comes with directions and fits comfortably in your hand – perfect size for favors!